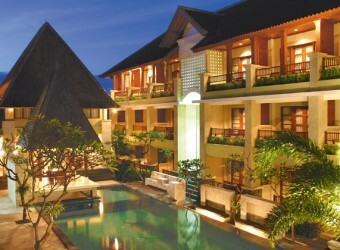 Bali Fourteen Roses Beach Hotel is the resonable hotel that locates on Legian Atreet, Melasti Street to the beach. It's built along the narrow street, but newly opened in 2005. As this hotel class, they offer rooms to spend comfortable enough. It's walking distance to the beach and night spots.